What better way to launch the colossal Genie SX-180, the tallest Genie self-propelled boom lift in the world, than by taking customers for a ride at Hire14. 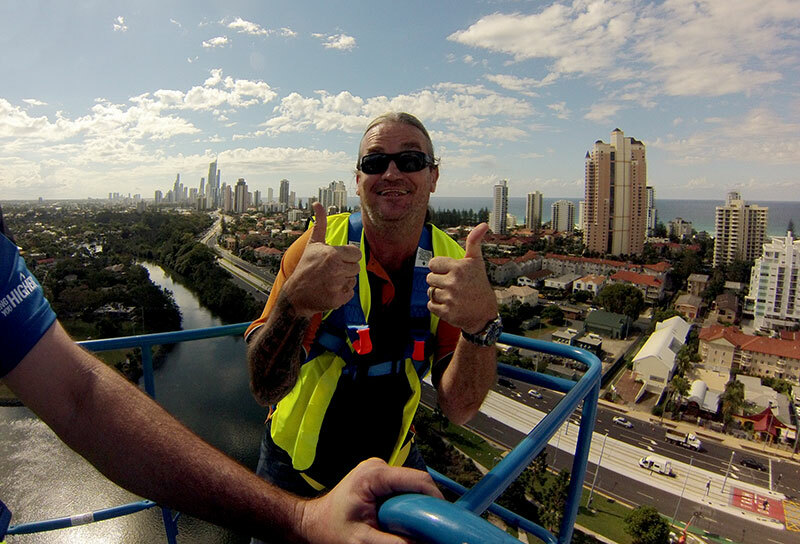 Throughout the three day convention on the Gold Coast, Genie offered customers the opportunity to be lifted a full 180’ above the ground in the Equipment in Action area. The offer proved irresistible to nearly 50 Genie customers who queued up for the breathtaking opportunity. So with a safety harness firmly strapped in place the SX-180 extended and reached up high into the sky with key Genie customers in the basket. Every person who accepted the opportunity to ride high into the sky aboard the Genie SX-180, returned impressed. As the accompanying photo shows, the view of the Gold Coast from the fully extended SX-180 was nothing short of stunning. Keith Ward from Height 4 Hire was clearly animated about the experience. The Genie SX-180 proved to be the highlight of Hire14 with confirmed sales exceeding all expectations. Three units were sold at Hire14, bringing the total sales to date of the Genie SX-180, to eight units. “Having the Genie SX-180 at Hire14 proved to be a pivotal event in the development and growth of the Genie brand,” said Brad Lawrence, General Manager of Genie Australia.